I’m really excited about this edition of the W.A.T.C.H. List. Because of the dearth of Top 250 players having results (or having results come off their rankings), this List of 20ish plumbs the depths like never before. Therefore, much like the special Spinal Tap amps that go to 11 instead of 10, this one goes to 500 (instead of the usual 300). Stay tuned for obscure pro-files. Let’s have a look at who these warriors of the Futures are this week, shall we? Now, if you’re anything like me (and God help you if you are), then you really wish I’d stop going on and on about this friggin’ PTW list. So I shall not mention it again, I promise! An interesting name on this week’s List is Karim Hossam. 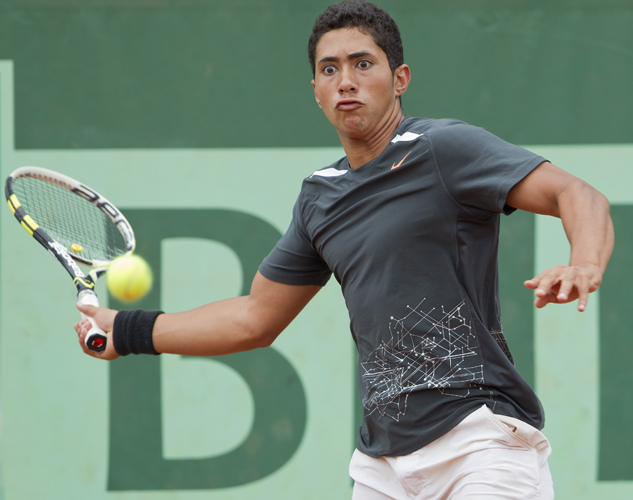 The teenage Egyptian is currently the 8th-ranked player under 20 years of age. At 69/24 for the year, he’s won an almost-astounding 74% of his matches. The former ITF World Junior #11 was a strong candidate for The List That Now Cannot Be Named; the main thing that kept him from inclusion is that all but 6 of his 93 matches this year come on the Egyptian Futures circuit, where competition isn’t necessarily the strongest level. Although that is probably to no fault of his own; as Reem Abulleil wrote earlier this year about Egyptian #1 Mohamed Safwat, there are many obstacles facing an Egyptian player who seeks to play abroad (or even a dude). Dane Propoggia vs. Andrew Whittington: this is the first meeting between the 20-year-old Propoggia, ranked #616 in the world, and the 17 year-old Whittington, who has yet to earn an ATP point and is thus unranked. Whittington is the #35 Junior in the world rankings, and 4th in Australia behind James Duckworth, Ben Mitchell and Ben Wagland. Propoggia is 19-22 on the pro tour this year, while Whittington is 0-4. Maverick Banes vs. Ben Mitchell: This should be a good matchup between two scrappy 18 year olds. 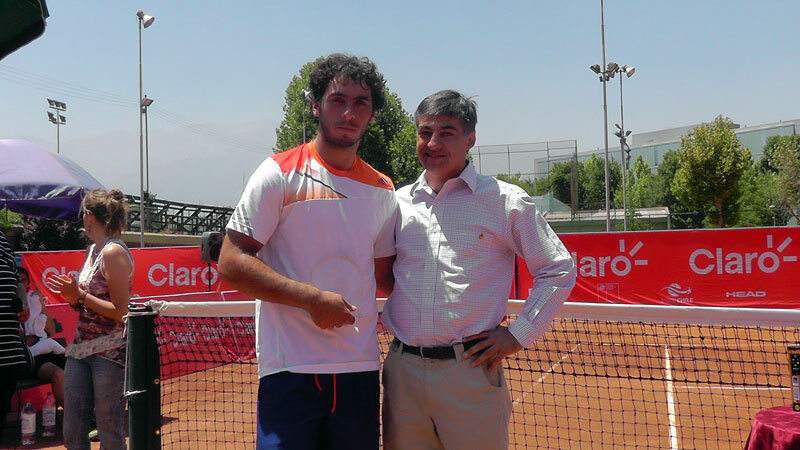 Banes won their only previous meeting 63 36 62 in August on clay at the Spain F28 Futures. Mitchell, though, is coming in on a heavy roll, having reached the final of Australia F13 two weeks ago, losing a close match to Sam Groth. Mitchell is 25-20 on the pro tour this year, while Banes is 5-9. I’d expect Mitchell to avenge his earlier loss this year, but it might be a tight one. Joel Lindner vs. Luke Saville: Lindner, the 648th-ranked 21 year old, won the only previous meeting between these two 63 64 just a few weeks ago at Australia F12. But the 16 year old Saville is a real talent, and is improving at what seems an exponential rate. I expect the lefty Lindner to go through, but I wouldn’t be shocked if Luke got the upset either. Mark Verryth vs. Jared Easton: The 19 y/o Verryth, ranked #610 in the world, and the 20 y/0 730th ranked Easton have never met on the pro level. The hard-serving Verryth has just returned from a successful trip to Mexico, which he capped off by winning the F11 Futures event there. He’s 23-16 on the season. Easton, meanwhile, has had a rough ride of it, going 9-20 for 2010. Look for Verryth to come through here. Adam Feeney vs. Colin Ebelthite: Shockingly, this will be the 10th meeting between the 25 year old Feeney and the 26 year old Ebelthite. Colin, ranked #386 in the world, leads Adam 6-3 so far. The 601st-ranked Feeney once held the edge 3-2 in their rivalry, but Ebelthite’s won the last four. James Duckworth vs. Matthew Barton: The two 18 year olds have never met at pro level (heck, they’ve hardly played at pro level) or a junior level. Duckworth comes in the hot hand, having had match points before going down to Sean Berman in the Optus 18’s final. In addition to being the top-ranked Aussie junior, Duckworth’s also gone 22-15 in first semi-full year on the pro tour, achieving an ATP ranking of 755. Barton hasn’t had quite that level of success, going 12-12 and attaining a ranking of 898. Odds are Ducky gets through this one. Sean Berman vs. Jason Kubler: Speaking of Sean… wow, what a matchup! The only men’s match that is streamed today. This is a tough draw for both guys, who are the 38th and 75th ranked juniors, respectively. Kubler, of course, was once the top ranked junior in the world but is now transitioning to the pros. Berman won their only previous meeting 64 62 in the third round of this years Oz Open Juniors. Kubes went 24-17 on the pro tour and achieved a ranking of 535 in the world, while Berman went 12-10 and is at #863. As far as I’m concerned (and I’m concerned pretty far), this is a toss-up between the two seventeen year-olds. Matt Reid vs. Michael Look: The #436th-ranked Reid, 20, leads the head to head 2-0 over the 23 year-old Look, though it took three sets in their most recent meeting in October. Eh, we’ll see how it goes. So that’s way more than you probably needed to know about today’s action. Ah well. Feel free to talk about the ongoing matches (or anything else) in the comment section below.